Walking Street is the real reason why an eyebrow is raised when a Thailand trip is planned. Especially, for bachelor parties. You thinking right…The entire city is walkable and also has good options for commutation like tuk-tuks, mototaxis, and rented scooters. Seems like most of the other islands of Thailand but believe you me all have its own unique beauty. Thailand holidays need a Thailand visa, so before you proceed further check out the Thailand visa on arrival requirements. Pattaya is cheaper than Bangkok, yes it is that cheap. Prefer South Pattaya if you want to be near the most happening part of the city. This area is full of all the stuff for which you came to Pattaya. Here you will find a local market, 2 or 3 malls, beach road, clubs, massage parlors, scooter rentals, and the walking street. Thai massage is a must when you visit Thailand. I tried the leg massage which lasted for an hour and it actually took all my weariness away. 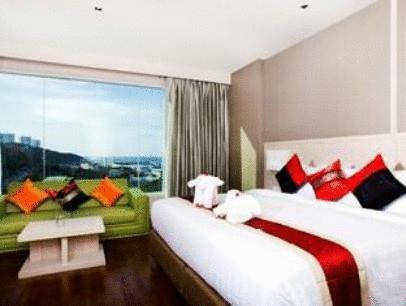 It is a 4-star hotel which has good room space, good food, and a small swimming pool. You can see a big “Pattaya” written on the rocks out of the window if your room is on the right side of the hotel. It is really economical and at a very good location. You can read more about it here. There are many luxury hotels in Pattaya which offer both sea view or cliff view rooms but are little far from south Pattaya. This is the place where you can enjoy all water sports. – You will have to pay for all the activities.- Please carry extra clothes because you will not get any suit for the activities. 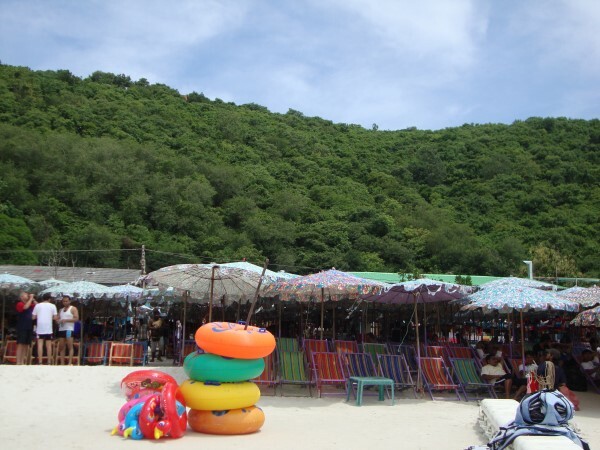 – You can enjoy parasailing, underwater walk and water scooters here. You board the speedboat at the coast of South Pattaya. First stop will be for parasailing. Parasailing is approx for 1600 Rs pp. At this stop, you will also find a couple of shops for beach clothes and accessories. After that you go for an underwater walk, it is approx 2000 Rs pp. If you want to get images you can get some 20 pics for 1600 Rs. That’s expensive but there is a trick to get pics for less ;p. You can go in a group for a walk and split the amount for photographs, like if 4 people go then you pay only 400 Rs for 5 pics. Just make sure to go with people you are comfortable with, otherwise, it will be difficult for you to enjoy. You will be given a round cap for oxygen. You stand on the stairs of the boat and your instructor pulls you down to the ground, approx 20-25 m deep. That moment is terrifying because all of a sudden somebody pulls you underwater and for a split second it is difficult to breathe. You cannot look up or down, you have to look straight otherwise the water can enter the cap.”I went in a group of 3. The moment I entered the water, I wanted to leave but then my instructor told me, using sign language. to look into his eyes and relax. In those seconds I was able to relax and didn’t release that we reached the ground. After touching the ground, we were advised to hold hands to maintain the grasp. We stayed there for 20 minutes and had a great time. We saw different fishes passing by us and also jellyfishes. It was a wonderful experience but you should have good control of your mind, claustrophobic people or people with any kind of breathing problems should avoid it. After this, you will be dropped to the beach where you can rest on each chair while sipping yummy coconut water. You can also enjoy swimming and scooter ride on the water. There are many stalls where you can find souvenirs, clothes, slippers, drinks, and food. You will be dropped back at around 5 pm. You will find a bevy of beauties here, you will not be able to take your eyes off them. 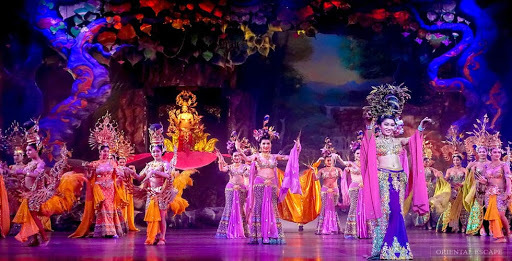 You will get to watch dance performances on Thai music. The show starts with a sought of adult comedy sequence followed by dance numbers. It will be a good opportunity for you to learn about Thai culture. After the show, they all stand outside for pictures. If you like to get some clicked with them or click there pictures then you need to pay them 50 Tbh or 100 Tbh. One more thing, all the beauty that you will admire is of LADYBOYS not women. So boys don’t get your hopes too high. All the attractive lady looking people are ladyboys and you will find them in all of Thailand. It is the Red district of Amsterdam and Rue Saint-Denis of Paris. you will find are a lot of bars, go-go, and restaurants here. Also, currency exchange, medical store and seven eleven. The party actually starts around 10 pm, no time sooner. Do not listen to strangers or agree to follow them for various needs. Just go there in a group, stay alert and enjoy yourself, don’t depend on anyone for anything. 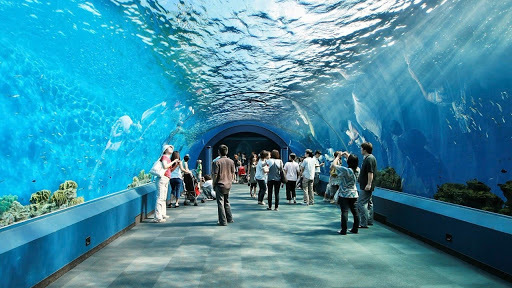 It seems like the underwater world of Sentosa in Singapore. It is considered to be one of the world’s top 10 romantic cities and is open from 10 am to 10 pm. There are multiple things like a shopping area, a fountain show, and a cabaret. Many people visit this place for pre-wedding shoots as well. 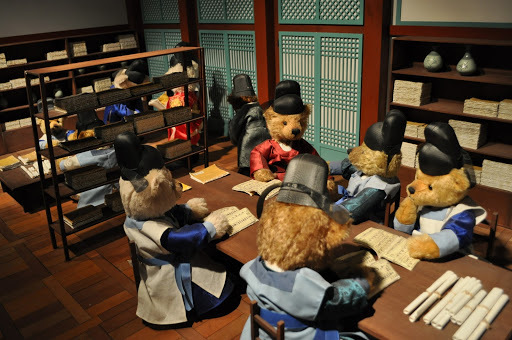 This is a US originated hall where all the strange and unique things are displayed. 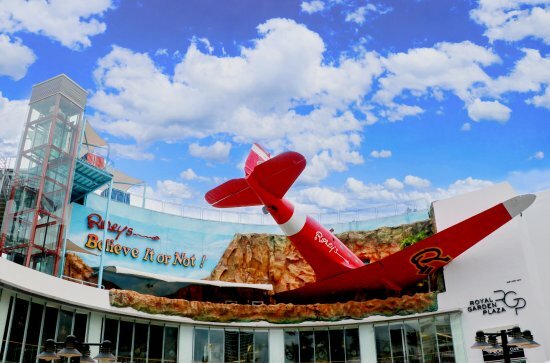 There are many more fun things to do here including 12D show, Louis Tussaud’s waxworks etc. This is the world’s only CN themed park. Seems kids have a lot of business to do here. 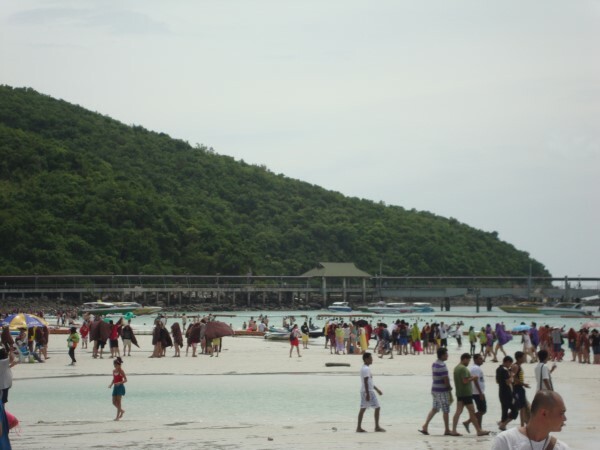 Above are the best things to do in Pattaya, keep reading to know about shopping in Pattaya. It is the main mall of the city although there are a bunch of others as well. This is the fashion hub. 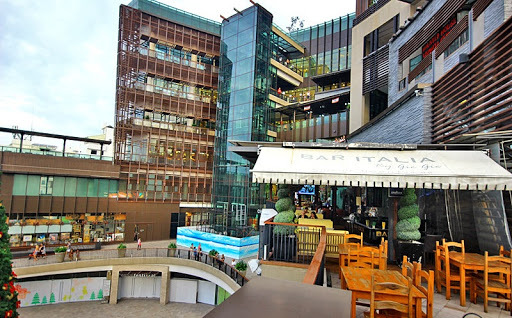 It has many brands like Zara, CK, Armani Exchange, etc along with many restaurants and cafes. The food outlets are open late till 02:00 am but other shops close around 23:00 or 23:30. This place is in South Pattaya opposite beach road. So you get a beautiful view as well. Although we expect to shop while boating but most of the shopping cannot be done like this and moreover the water is not that clean. If you are a vegetarian then it is going to be difficult for you to roam in some sections of the market due to the odor of seafood and other non-vegetarian food like cockroaches. You get similar stuff here which is available in local markets. 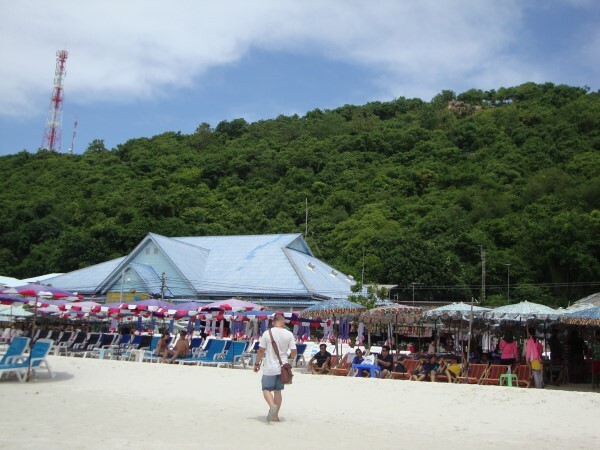 You will find a street market in South Pattaya, near the mall and beach. Apart from all this amazing experience, you can enjoy walking on the streets and riding on the tuk-tuks, just like Salman Khan did. 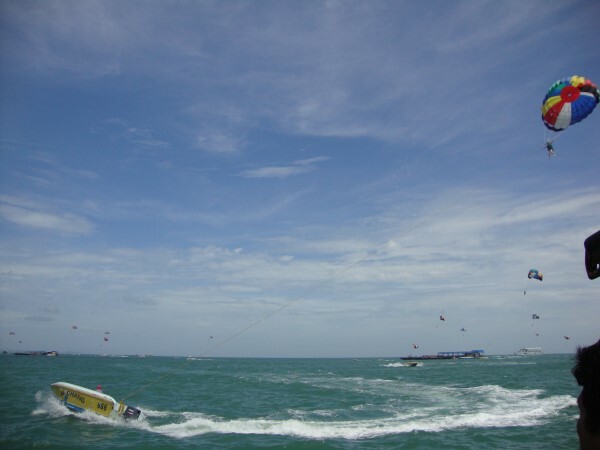 Check out here the action sequence he shot in Pattaya. 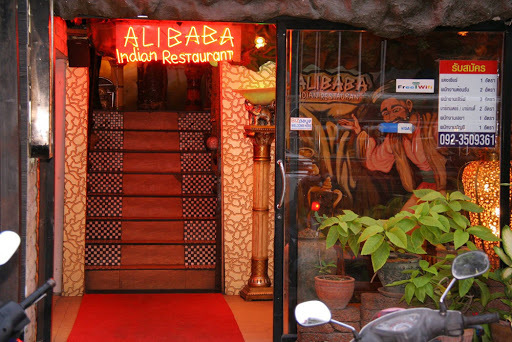 It is famous for Indian food in Pattaya. It is really close to the beach road. 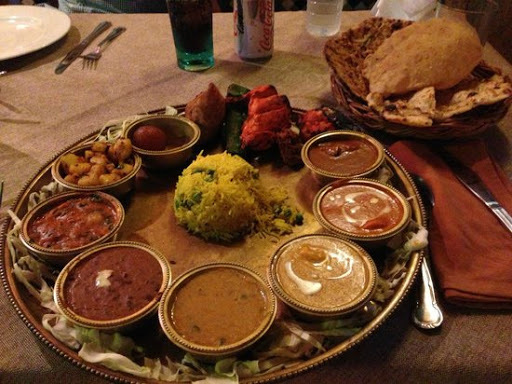 You get a thali here which is enough for 2 people. Apart from this, you will easily find non-vegetarian food everywhere. Are you afraid that your Pattaya holidays will be ruined buy don’t you worry, Pattaya is absolutely safe, there is only one street (walking street) that has adult stuff, in case you don’t want exposure to that area. You will notice some girls being dropped to the hotels on scooters but they just stick to their respective business and do not interfere. Visit walking street in a group, don’t depend on any stranger. Find some Travel Tips for more benefits and if you found this website useful then don’t forget to subscribe. We promise to feed your travel wishes with amazing knowledge. If you have any questions just leave them in the comment box. I’ll make sure to answer all of them asap. 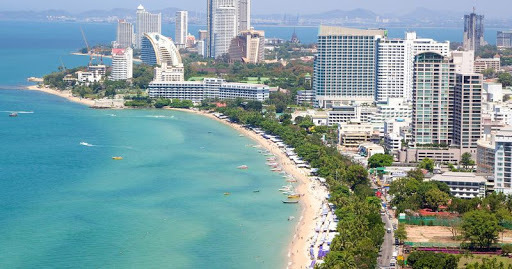 Pattaya is a hidden gem in Thailand, it is better than Bangkok! You can enjoy all kind of things here from shopping to beaches to the red district. Pingback: Things to do in Krabi – Holiday Destination Ideas! Those are some gorgeous beaches, but that teddy bear museum would freak me out!! I would love to try the parasailing and the Underwayer World. They both sound like a lot of fun! I barely made it past the hour long leg massage! Oh my gosh this sounds like heaven. Thailand is on my list for 2019, will definitely research this island. There is so much in Thailand that you will not be able to cover it in 1 visit.. I have never heard of this place, but it looks absolutely beautiful!! I would love to see the floating market. Great article and nice pictures. I’d love to visit Thailand one day. Thank you. This seems like a great place to visit. I’d especially love to try the underwater walk experience. You did so much, I’m jealous! Oh my goodness…I love Thailand. There is so much to do there and I love the beaches. And I love that it is so affordable! This is so true, Thailand is so affordable and beautiful. It is a perfect vacation spot. My son has seen commercials of that waterpark being shown at Cartoon Network, and he’s been wanting to visit that place ever since! Rachel’s and massages sound like a perfect vacation for me! I can’t wait until Imget to visit Thailand. The floating market sounds lovely and it’s such a pretty place. I’d love to visit. Thanks for sharing your experience! I have never been in this place but I would love to. 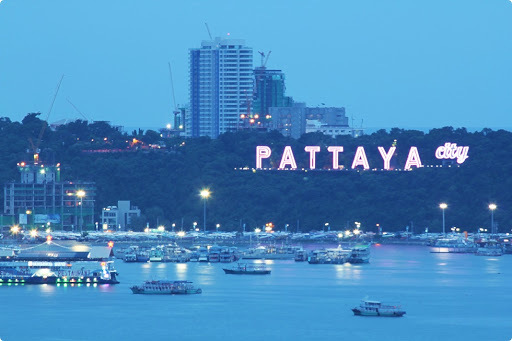 Pattaya is definitely a nice place to visit in Asia, will definitely add this to my bucket list. I’m really glad you mentioned this because my wife was just talking about wishing to go to Thailand and this looks like a wonderful locale to visit. Thanks for sharing! What a wonderful write up this is. 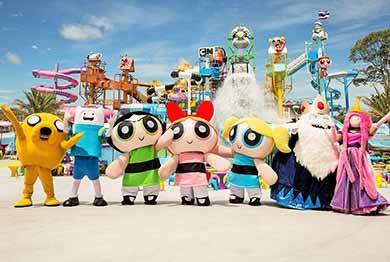 You gave some great advice on places to visit and the Cartoon Network Waterpark sound so much fun! Such a cool place to visit! And parasailing? Yes please!! Sounds like you had an adventurous time! I’ve been to Thailand before and found it to be the same way! Thailand offers so many wonderful things. 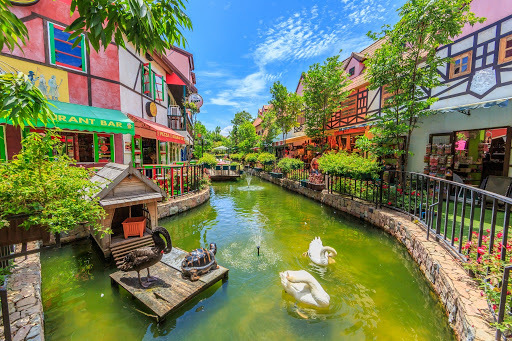 Have you been to Chang Mai?